Check Out Our Latest FXPrimus Bonus 2018! We are proud to present to you our FXPrimus Bonus review. We have done the hard work in providing an analysis of a broker that we feel merits your attention. We hope that the information we provide will help you decide if FXPrimus is the right broker for you. FXPrimus has become known for offering one of the most secure online trading environments in the industry. Traders are not only assured that their funds are secure but can also enjoy flexible leverage as well as low spreads. FXPrimus is regulated by the Cyprus Securities and Exchange Commission (CySEC) and is registered with all regulators in the EU to ensure that they follow best industry practices. Customer support is available in a variety of languages, including Bahasa Indonesia, Vietnamese, Malaysian, Mandarin and Spanish. You can avail of support through live chat, a telephone helpline which is manned 24/7 and email. FXPrimus only offers one type of live account, which you can open for as little as $100 minimum deposit. Accounts can have either ECN Premier or Variable spreads and you are allowed to trade Micro, Mini and Standard lot sizes. Trading accounts, however, are segregated into Individual, Corporate and Joint, based on the client who opened the account. There is also a demo account available that allows you to make dummy trades under realistic conditions. 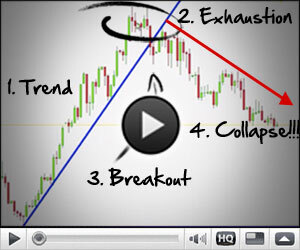 This allows you to practice your trading skills without having to risk real money. The demo account allows you to trade with up to $50,000 in virtual funds. In order to ensure that you enjoy the most affordable trading costs, FXPrimus charges its traders the lowest spreads possible. For example, if you trade the popular EUR/USD currency pair, you are charged only 1.2 pips. You are offered flexible leverage of up to 1:1000. Scalping and hedging are allowed. To help you analyze the markets and make better trading decisions, you are provided with a variety of educational resources, including daily trading insights, webinars, a calendar of upcoming economic and political developments and trading calculators. The site uses the popular MetaTrader4 trading platform which is available for Windows and Mac users as well as a mobile version that you can access from your iPhone, iPad and Android devices. You can also use a web-based platform, WebTrader that allows you to trade without having to download any software to your computer. At present, FXPrimus offers a 30% trading bonus to new and existing traders on their site. All you have to do is make a minimum deposit of USD500 and you can avail of up to USD1,500 free trading money. The FXPrimus bonus is subject to terms and conditions and can only be used to increase the trader’s potential maximum net position. Another promotion that is currently offered to new and existing traders is the 100% Double Dynamo, which offers a 100% credit of up to $10,000 and as much as $4 cashback bonus for every lot you trade.